I am so thrilled to be starting maternity sessions back again. Summer pregnancies mean gorgeous flowers in bloom and of course the lake <3 This family is expecting a baby girl soon and are great friends with one of my newborn clients. I was excited to have them as a referral! The best part of my clients sending their friends my way is that I know before we even meet that they will be fantastic to work with and this family is no exception. We met at my studio and used some of my favorite fabrics for wraps. Then we walked over to the park and big brother S was ahhhhmazing. He was so cooperative and well behaved! I can’t wait to see what he is like around his little sis. No doubt he will adore her <3 I love the shot of him hugging his mama’s belly! 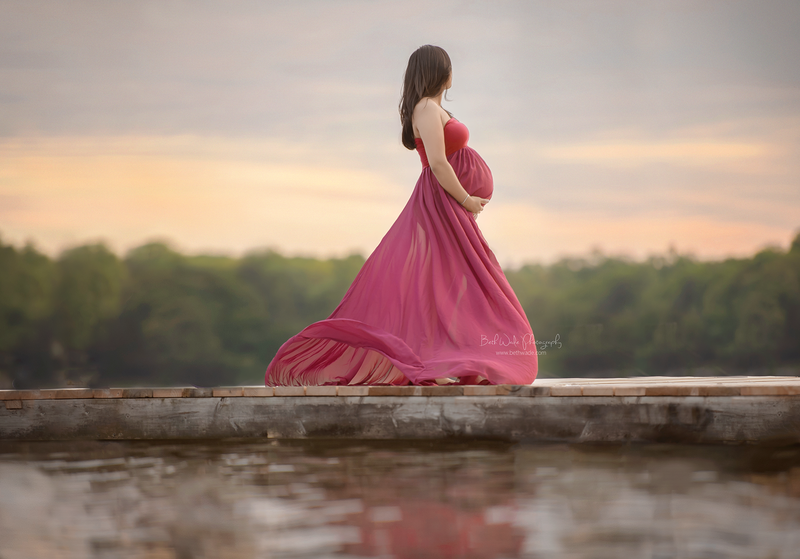 Mama-to-be is stunning and I love the soft sunset on the lake shot too – perfection! Can not wait to see this family of almost 4 again soon for their little girl’s newborn photos <3 Here are a few sneak peeks from our session – Enjoy!